As campus life slowed down for the summer, construction projects ramped up all over the University. 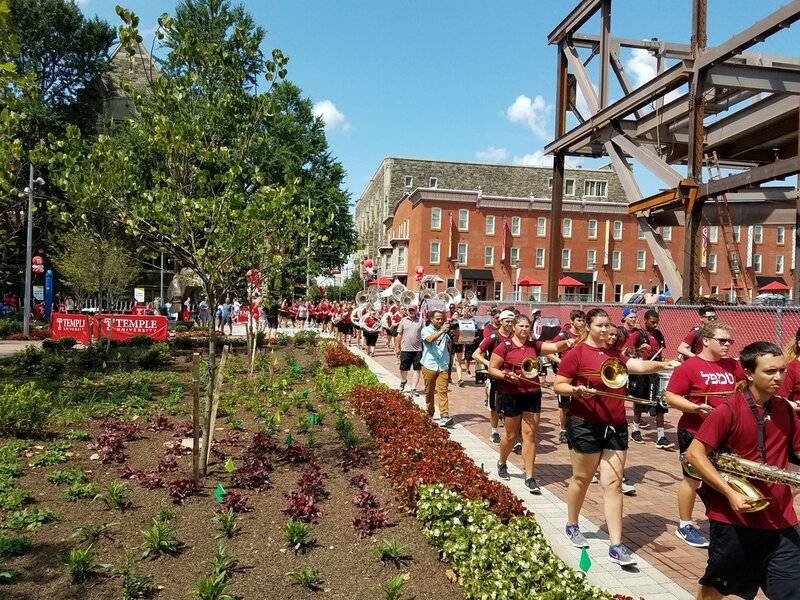 Founder’s Garden is a quiet garden space located at the heart of Main Campus, at the intersection of Polett and Liacouras Walks. The garden, first installed in 1968, received a much-needed renovation. Updated features include a double-sided water wall, a new Temple Owl sculpture, new paving, a curved granite bench, moveable seating, new lighting and lush plantings. We are proud of this fresh update to a classic modernist garden and look forward to seeing it occupied by students, faculty and visitors.